Ram Jethmalani, eminent jurist and senior advocate of the Supreme Court who had filed a public interest litigation in 2009 on the black money issue, told a Supreme Court bench headed by Chief Justice H L Dattu on Tuesday that the government is not interested in getting back the estimated Rs 70 lakh crore from tax havens. The 91-year-old senior advocate accused both the NDA government and the previous UPA dispensation for their failure to bring back black money stashed abroad and criticised leaders including Prime Minister, BJP President Amit Shah and Finance Minister Arun Jaitley on the issue. Mr. Jethmalani told the Supreme Court that the Narendra Modi government's promise to bring back illegal money stashed abroad was "worse than an illusion" and a "fraud on the nation". He unleashed a slew of allegations saying "the NDA government has no intention to proceed against those stashing black money as the persons in power appear to be involved in it". Jethmalani accused both the Prime Minister Narendra Modi and BJP President Amit Shah accusing of failing on poll promise of bringing back the illegal money. He said that this was "amply clear" from Shah's interview to a TV channel on February 5, 2015 when he stated that Modi's promise to bring back the black money during his election campaign in 2014 was a "political jumla (platitude)". "There has been no retraction of this statement by Shah. There has been no retraction of this statement by the Department of Finance. There has been no retraction of this statement by the Prime Minister. "The tragedy of this government is that they have kept in place those officers who had in the previous UPA regime blocked all efforts to trace black money stashed abroad," he alleged. Training his guns on Finance minister Arun Jaitley, Mr. Jethmalani said, "President Pranab Mukherjee, in his stint as finance minister, had informed Parliament that India has identified over 40 tax havens abroad which are the places where Indians stashed black money. "But the present finance minister innocently tells Parliament that India has not identified any tax haven abroad. His understanding is worse than a schoolboy. Every schoolboy in India knows about the existence of tax havens where Indians park their illegal money. This is a circumstantial evidence to show that those in power today are involved in protecting the persons who stash black money abroad." Mr. Jethmalani’s accusations came even as the special Investigation Team (SIT) which is monitoring the probe into the black money case informed the Supreme Court on Tuesday that the total undisclosed taxable income from unreported HSBC accounts abroad was Rs 6400 crore. While a tax demand of Rs 4500 crore has been raised, Rs 237 crore has been recovered so far. Submitting its report before a bench led by Chief Justice H L Dattu, the SIT said that out of 628 HSBC accounts under the scanner, 403 were found actionable under the Income Tax Act and other laws. It said 422 of these accounts pertained to Indian residents. The SIT said the government has been able to gather fresh evidence from France regarding 575 HSBC account holders. “Further information has been received in 575 cases in the first week of February 2015… Some of the cases which were hitherto not actionable may become actionable after such investigation,” said the Special Invesigation Team in the executive summary of its third report, which was given to the court in a sealed cover. In his hour-long arguments, Mr. Jethmalani alleged Anita Kapur, chairperson, Central Board of Direct Taxes, also a member of the Special Investigative Team (SIT) set up by the court, was suppressing relevant documents such as correspondence between Germany and India. Jethmalani called for interrogation of Kapur. He said India has signed the United Nations Convention against Corruption, but not ratified it. According to him, this is understandable because everyone at the top wants to prevent the disclosure of names and return of the ill-gotten money. "They are harping on the double taxation avoidance treaty, which is not the instrument that would yield results," he said. When Jethmalani complained he was not getting any information from the authorities, the Chief Justice suggested he approach SIT. Jethmalani said SIT was mostly "loaded with people who are loyal to the government and not the nation", and non-cooperation was their deliberate strategy. Mr. Jethmalani filed a detailed affidavit in Court outlining his submissions in the black money issue. The affidavit was filed pursuant to the Court’s order of April 20 permitting him and Dr. Swamy to put forth their respective submissions in the case. Former Union Minister and BJP leader Dr. Subramanian Swamy filed an application before the Supreme Court seeking permission to assist the panel in unearthing and bringing back black money from tax havens. Swamy said the present bill on black money was not for bringing black money back, but for imposing strict punishment for those caught with black money. "I have suggested how to bring back black money stating that the present bill, which has been passed in the Lok Sabha, is not for bringing back money but calls for strict punishment for those who have been caught with black money. I am not against the government but we have made a promise and wherever I go people ask me about it," he said. Dr. Swamy, in his petition said that he could assist the Apex Court in devising ways to bring back black money of Indians stashed away in foreign banks. "As an economist and a long-time Professor of Economics, and having held senior Cabinet minister positions, the applicant believes he can assist this Court to devise ways to bring back black money of Indians stashed away in foreign secret banking (estimated to be held presently in some 90 countries and tax havens)," Swamy said. Dr. Swamy said in his application that there are four ways by which the names of and accounts illegally held abroad by Indian citizens can be ascertained and acted on. He said the first method is for CBI/ED to register an FIR, obtain a Letter of Request under section 166A of Criminal Procedure Code (1973) from a designated court and then (making use of the Swiss Law On International Judicial Assistance in Criminal Matters seek Swiss cooperation) proceed to get Swiss cooperation which the Swiss authorities will be obliged to facilitate. The second method, he said, is the German/French method which these two governments used to obtain records of a particular bank by offering monetary inducements to willing senior bank officials. This is what these two countries did with Bank of Lichtenstein and HSBC in Geneva. He said the third method is the one used by the US authorities against Washington DC-based branch offices of the Union Bank of Switzerland and Credit Suisse by which the US obtained the names of over 5000 US citizens who had illegally opened accounts in these banks. When these banks had claimed secrecy as a business principle, the US authorities simply arrested Washington DC- based senior officers of these two banks. Thereafter, the bank headquarters gave in and shared the desired information. India too has these Swiss bank branch offices in Mumbai and this method can be pressed into service for this purpose, he said. Swamy said the fourth method is the one suggested by eminent jurist and senior advocate Fali S Nariman in his Rajya Sabha speeches and Op-Ed articles in newspapers, viz., advocating invoking the Resolution of the UN Convention against Corruption adopted by the UN General Assembly in 2005 and ratified by India in 2011. Senior advocate Ram Jethmalani, on whose PIL, the SIT was set up last year, said he was alone in his fight and now he was happy that Swamy has come to support him. "I welcome the support and information that may be provided by Swamy." he said. "I am the saddest person on earth seeing the deliberate attempts to stall the matter. Everything is being done as fraud to this country and this court. I support Subramanian Swamy's application in this matter as he has some very important points to share," Mr. Jethmalani said. 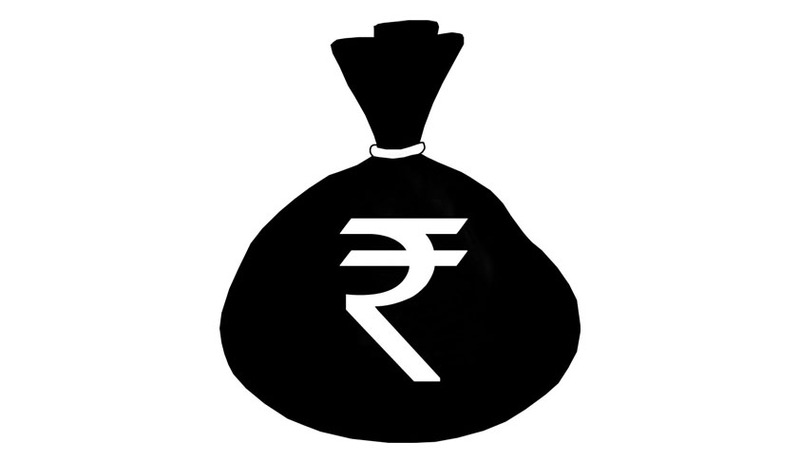 The bench, headed by Chief Justice H L Dattu, sought SIT's reply on Dr. Swamy’s application in which he has contended that the proposed black money bill, passed in the Lok Sabha, is completely inadequate to secure the return of the black money deposited abroad and it has no provisions at all on how to secure the stock of the black money. Senior advocate Soli Sorabjee, appearing for SIT, said there is already an order of the apex court that anybody who wanted to give suggestion or help in probe can approach SIT. The bench, also comprising Justices M B Lokur and A K Sikri, said SIT can clarify the position in its response. The Court then directed the Union Government to file a reply to the affidavits filed by both senior advocate Ram Jethmalani and Bharatiya Janata Party (BJP) leader Subramanian Swamy on the issue of black money within a period of four weeks. Read the Affidavit of Ram Jethmalani and Petition of Subramaniam Swamy here.